Ten years ago, Sarah Lee Guthrie (daughter of Arlo), her husband Johnny Irion and their two young kids rolled into my small town of South Haven, MI to help celebrate the first birthday of Foundry Hall, the community performance venue I’d been running in an old factory building downtown. 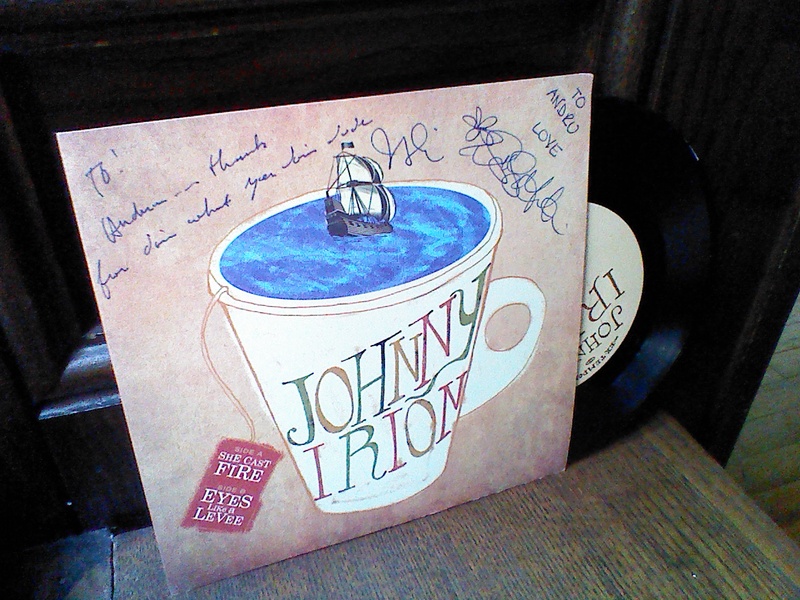 Sarah Lee and Johnny played a beautiful show, and left me with a signed 45 of Irion’s original music. It’s one of only a few records I kept in the move to Binghamton from the Midwest. Now, Johnny Irion is preparing for the May 17th release of his long-awaited solo album, Driving Friend, recorded with his friends from Dawes, Wilco, Nicki Bluhm and the Gramblers, produced by Tim Bluhm and renowned filmmaker/cinematographer Alan Kozlowski, and backed by Blackwing (the makers of the pencils with which Irion’s great-uncle John Steinbeck wrote The Grapes of Wrath). The album is lovely — California influenced folk-rock reminiscent of the best of Gram Parsons, the Flying Burrito Brothers, Neil Young and the Beach Boys. This Binghamton houseconcert is Irion’s only Northeast performance before he heads to California for the album release tour with Jay Farrar of Son Volt, and it’s your chance to own Driving Friend even before it’s featured on NPR’s Weekend Edition on May 18th! Now and then in American culture, the written word fuses the worlds of music and literature. Bob Dylan’s Nobel Prize is only the most obvious example. 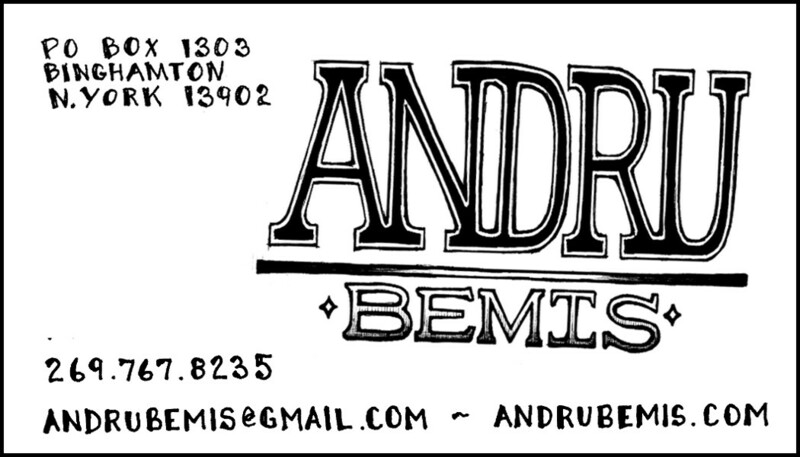 An individual singer songwriter can sometimes embody that fusion in his life and work. That’s Johnny Irion, whose family tree includes John Steinbeck and Woody Guthrie, and whose new record Driving Friend was backed by Blackwing, the artisan pencil makers with a diverse musical heritage. The record, which includes members of Dawes, Wilco and the Mother Hips, ranges across a wide expanse of roots genres, from blues and gospel to folk and country. Everything about it feels authentically crafted, a carving out of raw, lived American experience that goes to the heart of the Blackwing ethos. Whether Irion is singing about Santa Barbara, Pittsfield or the Rapture, his sharp wit, telling description and brief character studies take us to a musical hometown of his own. Which brings us to Johnny’s eagerly awaited new Driving Friend album. Like Wassaic Way and U.S. Elevator, Driving Friend appears on Johnny’s custom Rte. 8 label, and it is set for a May 17 release, coinciding with Mother Hips’ Hip Nic Music Festival in Big Sur, California. The new album boasts A-list credits including drummer Griffin Goldsmith and pianist/guitarist Taylor Goldsmith from big-time folk-rockers Dawes; the aforementioned Pat Sansone (Wilco); James Raymond (David Crosby, Warren Zevon); singers Sarah Lee Guthrie and Nicki Bluhm (Nicki Bluhm and the Gramblers); and producer/multi-instrumentalist Tim Bluhm (The Mother Hips). Chenango Craftsman Houseconcerts take place at the home of Sarah Gerk and Andru Bemis in the Northside of Binghamton, New York. Concerts are by “invitation” only. This can come from the performer’s newsletter or website, through our periodic email newsletter, or from an acquaintance, family member or other concert guest. Because of the intimate nature of the space, and to ensure a seat for you at the show, we encourage you to make advance reservations, after which we will email the address to you. 100% of audience donations go directly to the artist. Guests without advance reservations may make their donation — cash or check — on the night of the show, and will be seated according to availability. Reasonably well-behaved kiddos and babies are always welcome. Doors open at 6:30 pm. Join us for potluck-style food, snacks and drinks before the show, if you wish. Don’t feel that you must bring something to be included; there’s always enough for everybody. Music starts at 7:30 pm. Johnny Irion will play till 9 pm or so. Feel free to stay and visit after the show, and don’t be afraid to arrive late or leave early if your schedule requires it. We’re looking forward to seeing you on the 28th!